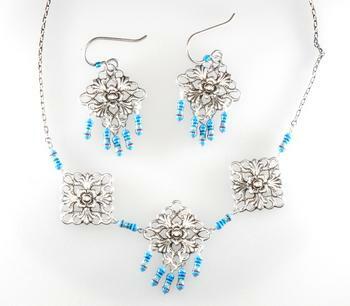 This set has a necklace and earrings. The necklace is made from 3/4" Victorian antiqued silver filigrees and real blue resistors used in electronics. The chain is a delicate gun metal 1/16" chain. A Gun metal lobster clasp finishes this design.